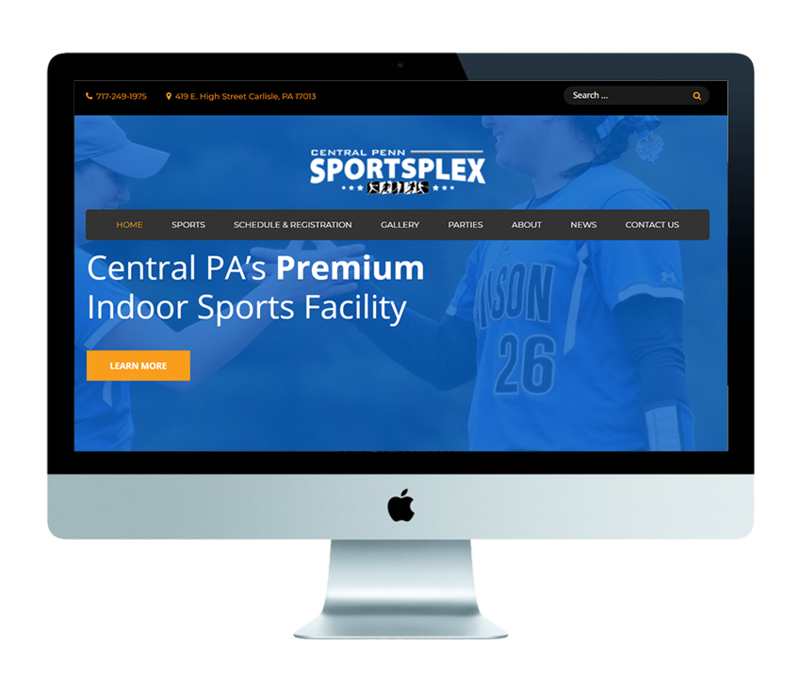 Central Penn Sportsplex just dumped a boatload of money building a fabulous and much-needed Sportsplex just north of us in Carlisle, PA. They needed an affordable web solution, but also desired building a relationship with a local company that could be available for continuous support. 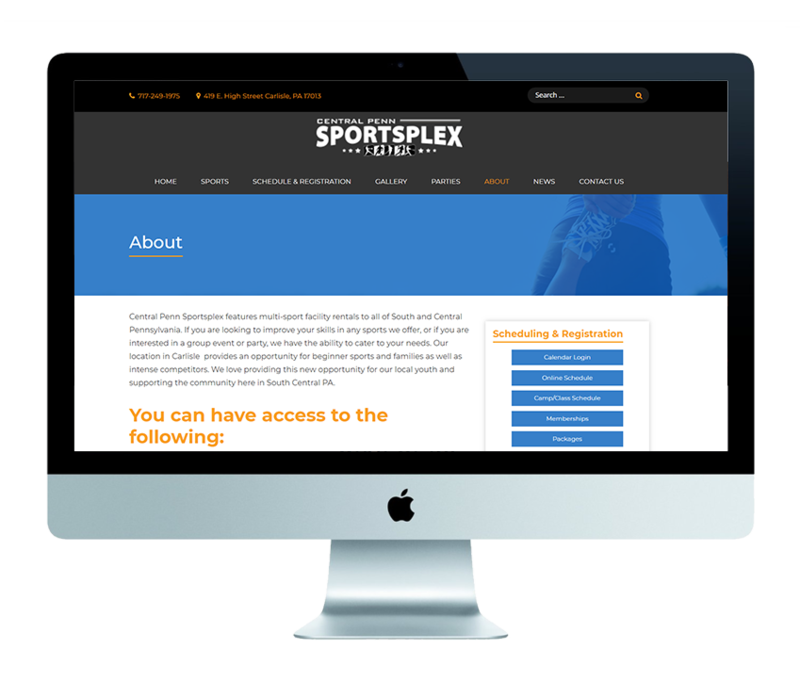 We put together a clean layout to highlight their sports capabilities that they could easily maintain. We’ve supported them from the get-go with hosting, e-mail support, and will be working with them to enhance their search engine optimization and any technical needs they will have.